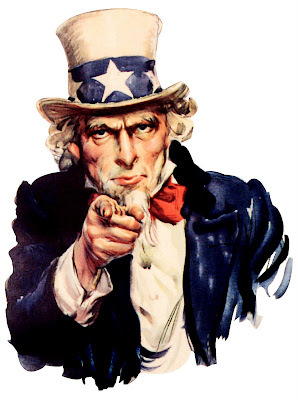 Kind of Curious: Scientia Pro Publica Needs YOU! Scientia Pro Publica Needs YOU! 84% of scientists say human activity is causing global warming. Only 49% of the general public agrees with this view. 87% of scientists say living things have evolved over time due to natural processes. Only 32% of the public agrees. Only 10% of the general public could correctly answer all 12 of the questions on a basic science quiz. If you think there is something wrong with this, Scientia Pro Publica needs YOU! "Scientia Pro Publica" means "Science for the People". Scientia Pro Publica is a blog carnival with the mission of communicating science to the general public. Considering that many of the most important issues of our time require an understanding of basic science, this mission is critical. We need to understand science in order to elect leaders who will make informed decisions on behalf of us, our society and our planet. That's where YOU come in! Please submit your blog posts on science, medicine and the environment to Scientia Pro Publica. Submit them by clicking on this link. Submissions for the next edition of Scientia Pro Publica are due by this Friday, 2/12/10. Scientia is published every other Monday, with submissions due the preceding Friday. By the way, if you come across a blog post written by someone else that you feel deserves some publicity, submit that as well. As if that weren't a good enough way to save the world, here's something even better - you can HOST Scientia Pro Publica! This means that you take all of the submissions, write some introductory text to whet the reader's appetite, and post the whole thing on your blog. Then, hundreds of people come stampeding to your blog to read your summary and follow the links to the submitted posts. To volunteer as a host, send an email to Grrl Scientist at ScientiaBlogCarnival@gmail.com. So, if you want to help improve scientific literacy, introduce new readers to your blog, or just have some fun, submit your posts now! Scientia Pro Publica needs you. THE PEOPLE need you! PS - To take the 12 question science quiz and read more about Pew's research on science literacy, click here. For links to previous editions of Scientia Pro Publica, click here. Usually it becomes an incredible tragedy. In the event you'll invest in Breitling Imitation Wristwatches available for you need to be obvious chanel outlet in relation to your needs are of which what you long for. You could find many Breitling Imitation Wristwatches on the net. Shiny sorts of Breitling Imitation Wristwatches usually are gucci replica easily obtainable in light-weight in addition to shiny colorings trendy in vogue in addition to outstanding with the some others. Like sorts of Breitling Imitation Wristwatches usually are hublot replica recommended typically with nights. Persons work with like shiny Breitling Imitation Wristwatches will be incredibly tasteful. Presently Breitling Imitation Wristwatches usually are modern in addition to come in unique colorings. Proper model Breitling Imitation Wristwatches usually are for everyone although office workers think it’s great far more. You possibly can pick out black color, brown leafy in addition to light hermes replica and this can be used with nearly all functions. Proper Breitling Imitation Wristwatches come in a large number. You could find unique rates with the proper Breitling Imitation Wristwatches using the excellent. Proper chanel replica 2.55 clutches usually are healthy for those functions. In the wake anti trump t shirts of the Rice video and widespread criticism of the league, the NFL Players Association set up a commission to investigate domestic violence and how the league could address it. But this summer, two of his and hers shirts its 11 members resigned. Deborah Epstein, a co director of the Domestic Violence Clinic at the Georgetown Law Center, wrote in The Washington Post that the commission was "a fig leaf" and that the NFLPA "is no longer interested in even making a public show of concern about violence against women. ".